Hot Deals ads are one of the commercial advertisements that will be displayed on your screen when you install adware on your computer. 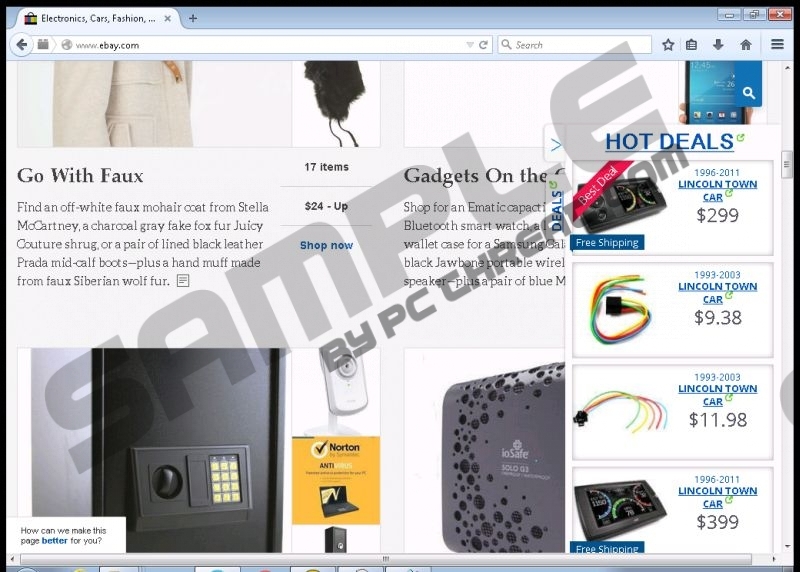 Our researchers say that Hot Deals ads appear on your screen when you have adware from the JustPlugIt group installed. Therefore, if you want to get rid of Hot Deals ads for good, first and foremost, you need to remove the adware program responsible for it. To figure out which program is generating Hot Deals ads, you should run a full system scan with the SpyHunter free scanner. It is very likely that you will find more than just one unwanted application. You might be wondering how adware applications came on your computer if you don’t remember installing anything as of late. Well, for the most part, adware programs that display Hot Deals ads do not arrive at your computer through a direct route. As far as the JustPlugIt adware programs are concerned, they are usually bundled with other freeware applications. Users often initiate their installation when they click fake download buttons on p2p and torrent websites. Quite often, users don’t even notice they install such programs as RightCoupon, BuyNSave, Couponarific, CostMin, and others. When these adware apps get installed on target computers, they begin collecting data on your web browsing habits. It means that all the Hot Deals ads you see on Amazon, BestBuy, Walmart or eBay are customized especially for you, based on your web browsing history. Thus, it may seem as though Hot Deals ads are trying to provide you with links to sites that sell the goods you want to buy at a lower price. 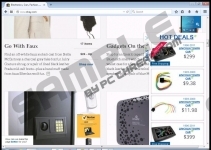 However, adware programs ARE NOT responsible for the Hot Deals ads content. Therefore, you can never be sure whether the links that are embedded in Hot Deals ads are safe or not. In the case Hot Deals ads are exploited by malevolent third party (which happens quite often), you can end up being redirected to a corrupted website that promotes adware, potentially unwanted software, and (in the most extreme cases) even malware. It is clear that you need to remove Hot Deals ads from your browser if you want to continue browsing the web safely. Get yourself a licensed antispyware tool that will help you delete all the potentially unwanted applications from your system. Once you remove the adware program responsible for displaying these annoying pop-ups, Hot Deals ads should disappear from your browser automatically. In case something does not go according to the plan, please let us know by leaving a comment below. Select Uninstall a program and remove adware program. Select Add or remove programs and uninstall adware apps. Disable and remove adware add-on from Extensions. Open Extensions and remove adware add-on from the list. Quick & tested solution for Hot Deals ads removal.